Have you seen the signs for Body Fit in our clubs, and wondered what it's all about? Our Body Fit program is geared towards helping members take their fitness goals to the next level. This unique fitness experience is taught by certified personal trainers who have the ability to adapt the small group training workouts the physical fitness levels of individuals within the group. Sessions are grouped in teams of 6-16 people, creating a positive, friendly, community atmosphere for members of all ages and fitness levels. Periodically, we host Body Fit Challenges for participants. Those who sign up for these challenges get an added level of accountability and motivation. Participants have the opportunity to win fun prizes, based on the percentage of body fat that they lose over the course of a 6 week challenge. We've seen some amazing success stories come from our Body Fit Challenges! One of these stories belongs to Geni A., who works out at the Orangevale Cal Fit. 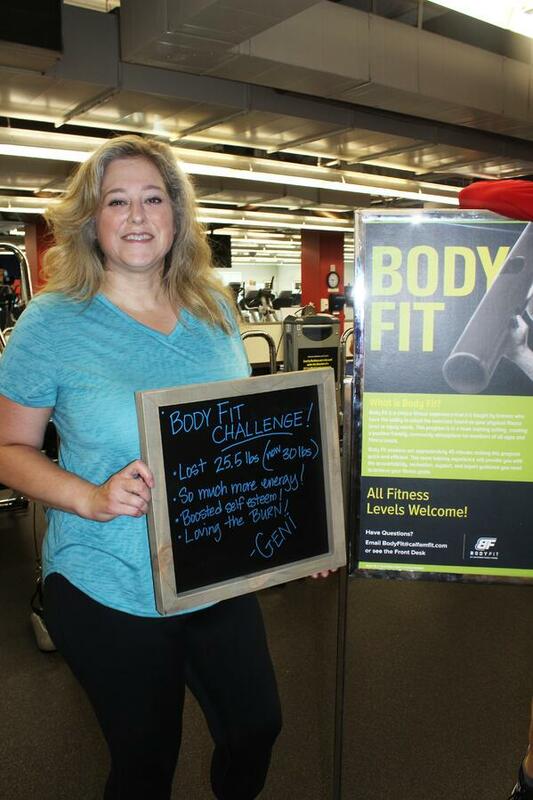 "Before I started the Body Fit Challenge at CFF I felt lethargic," Geni told us. "I had no energy and my stamina was pretty nonexistent. I squeezed myself into my clothes and I was uncomfortable." What prompted Geni to change? 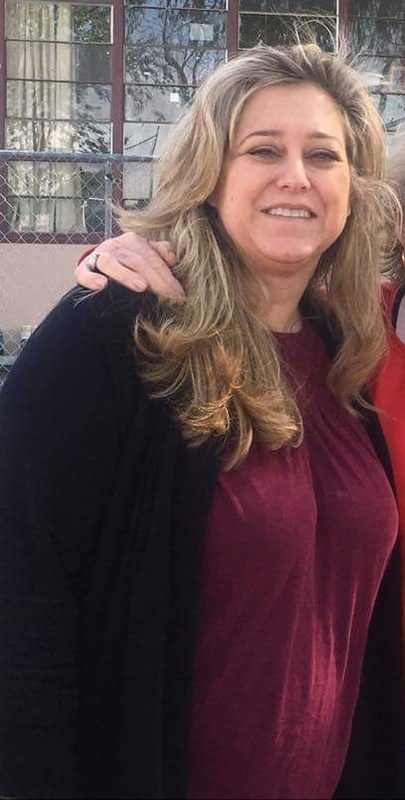 "When I received an email that promoted the Body Fit Challenge, I knew that this was my opportunity to make better choices and get healthy," she explains. "I am extremely competitive so when I saw the word 'challenge', I sent a text to personal and Body Fit Trainer Janeice Dean and asked if she was going to lead the challenge. When she confirmed, I signed up the next day!" You can tell from looking that Geni got some terrific results. What else did she enjoy about her Body Fit experience? "I appreciate that I can attend a group fitness class and feel re-energized afterwards," Geni replies. 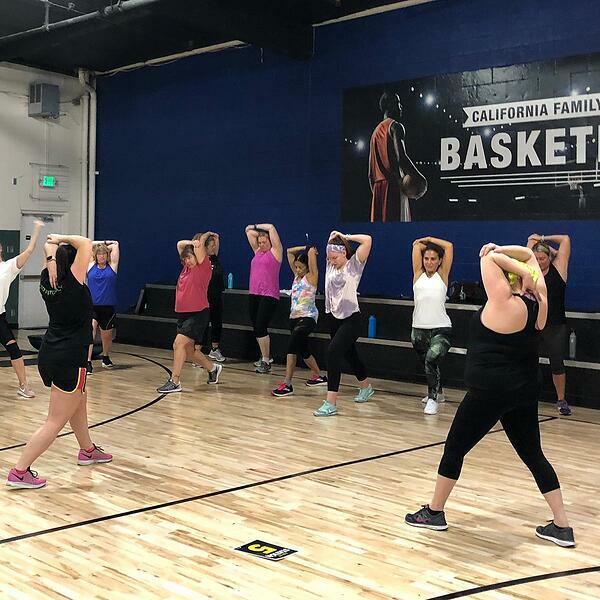 "The camaraderie of group fitness is addictive—you look forward to seeing your gym friends, immersing yourself in a positive environment, and enjoying a workout that otherwise could have been unpleasant. Conversely, I can independently walk in the gym and efficiently complete my workout." Our Body Fit trainers love what they do, and it shows. Geni shares a little more about her experience, telling us, "Janeice Dean has been my trainer off and on for the last few years. Not only is she knowledgeable about exercise and nutrition, Janeice truly cares about people. Watch her in action during a Body Fit class and you will see that she is constantly moving, monitoring, and mentoring. She recognizes that every person is different and will modify a workout based on your skill level and limitations. I love that she is always educating herself and in turn educating us." We have a Body Fit Challenge in progress right now. While it's too late to enter this round, you can read more about what's involved and the fun prizes being offered here. Still need to know more? 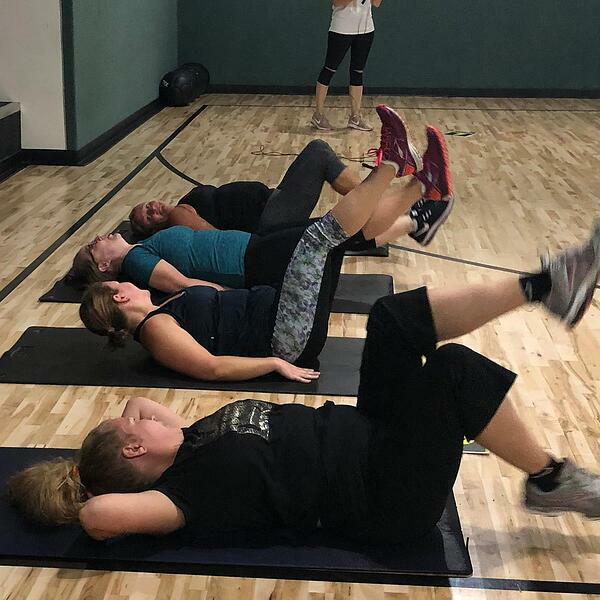 Read a review of one of our Body Fit classes by one of our members. We'll be announcing the dates for our next Body Fit Challenge soon, so make sure you are following us on social media!